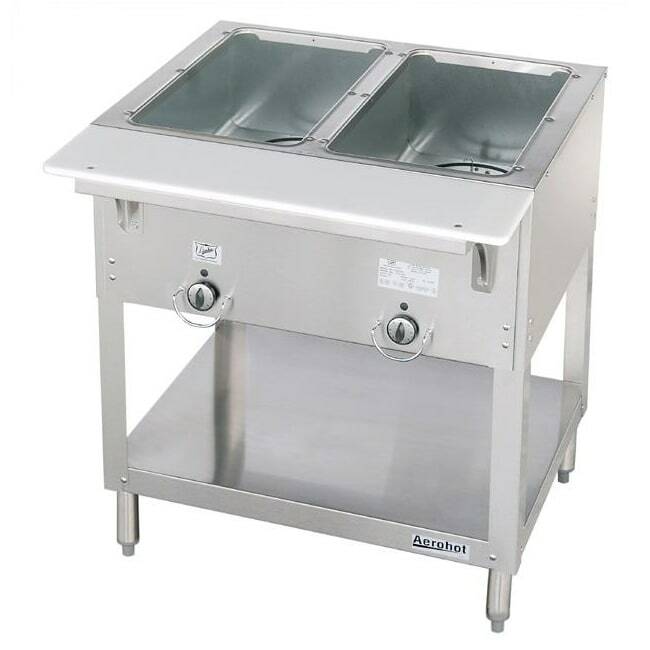 Duke's E302 240 is a stainless steel hot food unit with galvanized steel liners for the heated compartments. This model has a 750-watt exposed heating element and individual temperature control for each of the two openings. The full-length plastic carving board makes serving food simple, and is supported by a stainless steel shelf and brackets to ensure stability.